Sorry, this course is full. A waiting list is available in case of any cancellations. This incredible, 5-day course offers youth ages 9 – 12 a chance to explore a variety of art mediums and techniques. 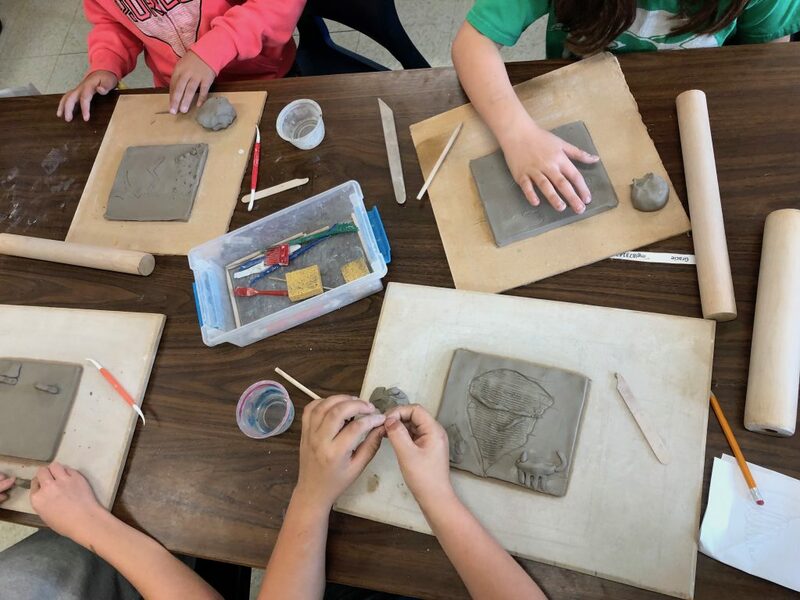 From ceramics to drawing, painting to sculpture, students will work on a number of projects aimed at expressing their individuality, creativity and unique personality. Students will learn techniques in drawing, painting, collage, sculpture, ceramics, textiles and much more. The week will close with a student-curated show. We will take daily walks to the park and around town, please make sure your children are properly dressed for indoors and outdoors. Marla Benton is a clay artist and educator living and working from her studio in Mahone Bay, Nova Scotia. 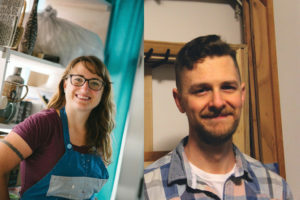 She holds degrees from Nova Scotia College of Art and Design, the Ontario College of Art and Design (BFA), and Nipissing University (B.Ed.). Marla has over 16 years experience in art education in public schools, galleries, studios, and private workshops in the Yukon, Quebec, Ontario and Nova Scotia. Currently, she teaches at the Chester Art Centre and the Lunenburg School of the Arts. Her work has been published in the USA in American Craft and within Canada, in Studio Magazine, Canmore Leader, Yukon Arts Magazine, and The Chronicle Herald. Though her primary medium is clay, Benton has experience in printmaking, weaving, metal, and woodworking, and her work is informed by a playful experimentation with different mediums and materials. Clay is an art form that allows for function and sculpture to mix or be completely separate – a piece can be simultaneously practical and fanciful. Each piece is presented as an expression of this exploratory process; a single idea may progress through multiple pieces as Marla physically explores it. Both Marla’s gallery work and installation art encourage personal connection through text and interactive hands-on elements. She plays with scale and combines surprising elements to challenge expectations, evoke emotion and curiosity, and encourage interaction and participation – leaving her audience with an emotional and physical memory of the art. Her work in the last two years with Uncommon Common Art, in Wolfville, N.S., and Nocturne: Art at Night, in Halifax, N.S., has been highly complimented by an education outreach program that allows entire schools to create public art projects. These aspects of her work fuel both her need to create and her desire to teach. Jason is a multi-disciplinary artist and award-winning illustrator. His work has appeared in a variety of publications including THIS magazine, In My Bed, Applied Arts, and as part of a taped segment for YTV. Finding inspiration in humour, humility and positivity, Jason often gravitates towards projects that have a flare for upbeat public engagement. He has worked on interactive and permanent mural projects for such clients as Pier 21: Canadian Museum of Immigration; the Town of Sackville, N.B. ; Starfish Properties, Halifax; Colchester County; the Prismatic Arts Festival, Halifax; and, the Halifax International Busker’s Festival. He currently lives in Dartmouth with his partner and dog. I am a multi-faceted, multi-disciplinary artist who creates works motivated by whimsy, community and humility. I take great joy in creating impermanent public art experiences that employ humour to leave a lasting impression and carry my message of simplicity and kinship. Jason has been a popular instructor at our Schools “Kids Week/Youth Art Week” for the past three years.